As I mentioned at the top, this is best used (in my opinion) in a subtle fashion. 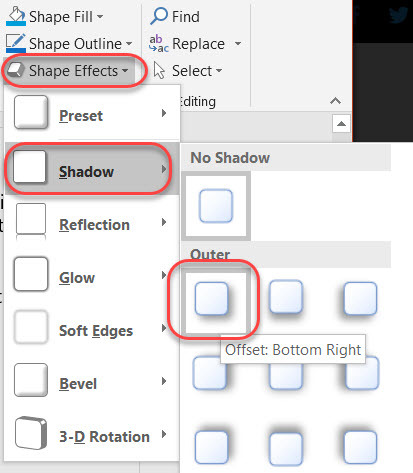 There are a number of Shape Effect options, and you can really do some dramatic effects. However, “dramatic” can often equal “distracting”. I would suggest that you use these features sparingly so that the attention is directed at your content, not on the use of special effects. Your audience (and your message) will thank you.